In 1975, when the Ford tractor dealership in Southern California needed a master mechanic to maintain and repair its fleet of backhoe loaders, skip loaders, Bobcats, trenchers, or Caterpillars, they hired a young man who had over 15 years’ experience getting his hands dirty running heavy equipment. Today, Sereno is director of Program Management with the Port of Long Beach. Each year, trade valued at more than $140 billion moves through the Port, supporting more than 316,000 Southern California jobs. Under Sereno’s management, the Port recently completed the later phases of the Middle Harbor Terminal Redevelopment Project, the early phases of the Pier G Avenue redevelopment, the Gerald Desmond Bridge Replacement, and the Ocean Boulevard–Terminal Island Freeway Interchange. Unlike those who knew in high school what they wanted to become in life, Sereno’s is the story of man who worked his teenage and young adult life as a mechanic and a blue collar worker. It was not until later in his life, at age 38, that he would graduate from Brigham Young University (BYU) with both a bachelor’s and master’s degree to finally begin his career as a civil engineer. Looking back, he says, “I always knew that I could do more and my grades were extremely good [in high school], I had just gotten misdirected for a period in my life. This is the story of how Sereno went from being an ordinary hardworking mechanic to managing some of the nation’s biggest port-related infrastructure projects in the U.S. and becoming a champion of sustainability. After about 10 years working for the Boise Cascade Company, in Hawaii, as a mechanic, Sereno began to seriously think about his future. His mother, who was living in Southern California at the time, was ill with cancer and he thought about moving to the mainland to take care of her. One day, he drove his jeep to the top of Mauna Kea, which overlooked the whole Island of Hawaii, to think things over. Born and raised in Hawaii, Sereno attended the University of Hawaii for a year before his father passed away unexpectedly. Wanting to help his mother, Sereno left college and cared for her until she moved to California with other family members. The Boise Cascade Company on the Island of Hawaii (Big Island) offered him a job as a mechanic on a mixed-used development project. The Waikoloa Resort, which included a hotel/resort, residential housing, and a golf course, would employ Sereno for over 10 years. “I ran the maintenance shop,” says Sereno. “My job was to keep all of our own fleet of equipment up and running. We had a fleet of pick-up trucks, several Caterpillar [bull]dozers, road graders, front-end loaders and some skip loaders, rollers, and even a restored 1940 V-12 flathead fire engine. One of my most unusual jobs was to operate deep-well water pumps powered by dual Jimmy diesels [slang for a two-cycle diesel engine manufactured by General Motors] until those were converted to electrical power. Boise Cascade made Sereno a nice offer to stay with the company as a mechanic, but after discovering that his mother had cancer, he decided to move to Southern California. It was here that he went to work as a master mechanic for the Ford tractor dealership and also where he met his future wife, Mariellen. Both Sereno and his wife enrolled in BYU in the winter of 1982/83, he majoring in water resources and Mariellen in health care. 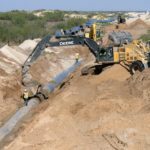 He thought it would take him only 2 years to get his bachelor’s and master’s degrees; however, it would not be until the spring of 1987 that he would finally graduate and accept a job with James M. Montgomery Consulting Engineers (today part of MWH Global). 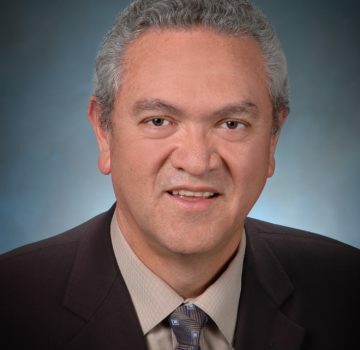 Recognizing his ability to supervise, Sereno accepted several promotions fairly quickly, moving up the company ladder from staff engineer to vice president, until 2002 when he left the company to work for the Port of Long Beach. The valuable lesson Sereno learned as a mechanic was getting the owner or manager to provide the pertinent information needed to make an informed diagnosis. He also learned the importance of repairs taking the least amount of maintenance downtime or offering the maximum cost savings. “I learned this lesson early on at the Hyperion Treatment Plant when we were designing pump arrays for the wastewater plant,” Sereno states. “Oftentimes we would have five or six pumps in an array and an engineer would design these arrays so that the mechanic would have to take out pump one, two, and three to replace pump four. 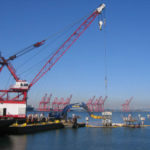 Three years after Sereno assumed his present job with the Port of Long Beach in 2002, its Board of Directors instituted what became known as the Green Port Policy: protect the community from harmful environmental impacts of port operations, distinguish the port as a leader in environmental stewardship and compliance, promote sustainability, employ best available technology to avoid or reduce environmental impacts, and engage and educate the community.“I realized this was an important principle,” says Sereno, who today is the local committee chair for ASCE’s International Conference on Sustainable Infrastructure, November 6-8, 2014. “Although the Port can recycle paper, batteries, printer cartridges, etc., instituting the Green Port Policy can probably affect 85 percent of the dollars that this port spends on capital improvement and things like that. Involved with ASCE and COPRI (Coast, Oceans, Ports, and Rivers Institute), Sereno went on to chair COPRI’s Sustainability Committee before joining ASCE’s Committee on Sustainability. He has been a member of the COPRI Ports and Harbors Committee; Policy Committee; and Education, Mentoring, Student, and Younger Members Committee. He has also been a member of the Los Angeles Section’s Sustainability Committee as well as serving as its secretary. First off I applaud you for going back to school and doing something in life that you have love and passion for. Also a inspiring article on a man who’s also a approachable humble positive leader as well.